Samhain Dance. Oct. 2014. 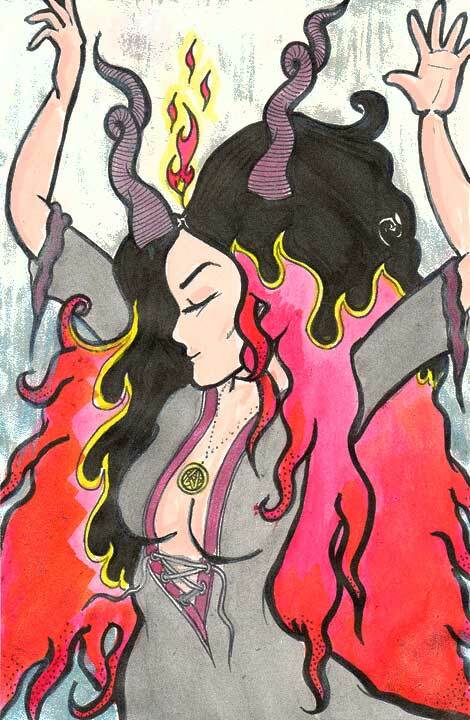 Drawn by Michele Witchipoo. Ink, pen and watercolor.